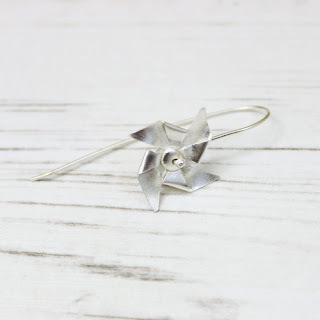 For many of us jewellery making is a hobby; a way to relax and create away from our day to day lives. The need to concentrate on what we are doing allows us to be consciously aware and focusing in the moment rather than worrying about the future or thinking about the past. This is the elusive state of mindfulness. There are a number of ways to add periods of mindfulness to your day to day life. Activities like yoga, tai chi and meditation have been famously studied but concentrating on a hobby is also on the list. 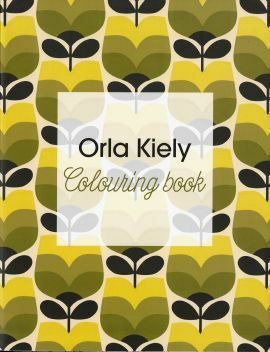 Last year, adult colouring books became all the rage (my personal favourites were Secret Garden and the Orla Kiely colouring books). I think the mindfulness aspect was one part of it but there is also the simple pleasure of going back to childhood and the only things to be concerned about - choosing the right colour and colouring inside the lines! In 2016 origami was introduced to the mindfulness trend. Origami is the Japanese art of folding paper into decorative shapes and figures. 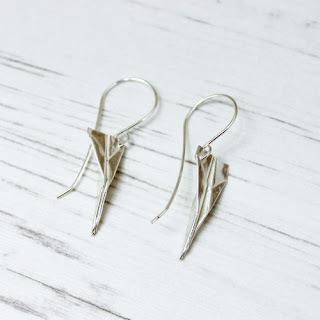 Origami with silver looks impressive but is hard to achieve with traditional silversmithing techniques. However, it is something we can achieve with metal paper clay. Both the main brands of silver clay, Art Clay and PMC, have their own version of paper silver clay. Both are a dry, flat sheet of metal clay that can be cut, folded and shaped before being kiln fired. I teach a one day metal clay - paper clay class at the London Jewellery School. You can find dates for this class here (note, I am not the only tutor for this course). 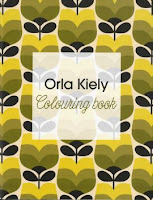 You can find my teaching calendar here.